GPC: Please introduce yourself to our readers (i.e. your name, occupation, hobbies, etc.). YG: Hello Beautiful Souls, My name is Yulunda and I was born and raised on the west coast but have lived in the south and mid-west which has allowed me to become versed on different cultures within our beautiful nation. I have worked in marketing & advertising since graduating college from Jackson State University (Jackson, MS). My first job after college was working with the Detroit Pistons and since that time, I can honestly say that I have had some amazing jobs from working with Black Entertainment Television to the largest African American Museum in the nation. During my spare time, I love to read, travel and spend time with my family. And, a lot of my time is dedicated to balancing my kid’s sports schedule and other life/school activities. Yes, they keep me going and I have learned how to facilitate it all AND find time for a nap when I need it. GPC: What is the name of your blog(s)? GPC: What’s your blog all about (i.e. genre, niche, etc.)? YG: I consider my blog the place of encouragement & right thinking. I realized that I had the gift of encouragement and have always found myself helping other to hold on and to not give up. GPC: What inspired your blog name? YG: I knew that I wanted something pertaining to my belief system and the type of life that I strive to live daily. I also wanted to incorporate my name or at least my initial as it is pretty unique. I also wanted to have a play on words. After a couple weeks of brainstorming and scratching off a lot of ideas, I ultimately decided on Y I’m Writeous. GPC: When did you start blogging? GPC: Why did you start blogging? YG: Honestly, I started blogging because I had/have a lot in my head that I needed to express in my own way knowing that someone somewhere may need what I have to share. Also, I experienced clinical depression and acute anxiety during/after my first pregnancy and it was torment in so many ways. One of the hardest parts was the reception that I received for “my” community. The response was saddening, but not shocking as we’ve been taught for generations to be strong, hold on, don’t give up and keep fighting. But, what I needed at that time was for people to fight for me. I was blessed and fortunate enough to have a sister-circle around me who literally said (by their actions), “We WILL NOT let you go!” These ladies had my back, prayed with me, fed me, drove me around, and took total care of me EVEN when my husband could not as he simply did not know how (like many men). Women are a very powerful force on this earth. GPC: Is blogging your full-time job or do you work elsewhere full-time or part-time? YG: Blogging is my part-time job as I have a full-time job in marketing & advertising. GPC: How do you balance the demands of blogging with your everyday life? YG: I have limited my television to three shows a week. I convinced myself of this year’s ago when I realized I was addicted to every episode of every Law & Order (LOL). I had to tell myself that these people I am sitting here watching are living their dream and mine is fading away. Yes, it was the revelation that I needed to use my time more wisely. Also, I will stay up late (regretting it the next morning) to finish what I have started. But, I will do it the same way every night until my dreams begin to truly unfold. GPC: What do you like about blogging? YG: I really enjoy the community that I have been meshed with through blogging. I have developed some solid and supportive networks. In fact, I’ve always debunked the myth that women do not support each other. Having blogged the last six months has confirmed that women do love on, support and care for one another. Also, I love being able to have my own corner of the web to express myself, show off my beautiful smile and share the many life blessing I’ve received. GPC: What would you consider your biggest accomplishment to date as it pertains to your blog? YG: Not giving up! Blogging is not easy and takes a lot of dedication, especially once I realized how much work is entailed. As bloggers, we cannot just publish works and expect the people to come or the growth to happen. GPC: What do you consider the biggest challenge you face blogging in your genre/niche? GPC: What has been your most exciting event you have participated in or attended as a blogger? YG: At this juncture, I have several blogging conferences that I have slated to attend in 2015. However, being a newbie, the most exciting event(s) outside of our monthly blogging Meetups have been lunches with other bloggers which have further enlightened me. GPC: What tips or tricks do you use to encourage engagement from your readers on your blog? YG: I always have a Call To Action (CTA) by asking them a specific question, encouraging them to share their feelings and even asking them to share my post/blog if they were moved by what I had to say. I have recently started to consider a few give-a-ways as well to really show the readers how much I appreciate them and their ongoing support. GPC: What advice do you have for a newbie getting started with blogging? YG: Learn and absorb all you can from those who have done it before you. Read everything you can (I read two blogging books before I even purchased my URL), and most importantly ask a lot of questions and never be embarrassed. People love to share knowledge as it is a great way for them to sow a powerful seed to reap a bountiful harvest. In the corporate world, they call it benchmarking or best practices. GPC: What do you think is the biggest misconception about blogging? YG: I believe the biggest misconception about blogging is that it is easy and it is ‘just’ a hobby. To be honest when blogs first started, I did not fully understand the premise and purpose of them. But, as they begin to grow and have longevity, I knew there had to be more to blogging. In my eyes, blogging is EVERYTHING in so many distinct ways. GPC: Who are some of blogger inspirations? GPC: Please share your blog information and any upcoming events you would like to share with our readers. YG: Y I’m Writeous is a blog that strives to be the space for positive and encouraging words in a world that at times may seem heartless, dark and lonely. A place where one can escape the realities of life, be it for a little while and take a breather. A place where we understand that everyone we meet is fighting some kind of battle and hoping to win the final war. I desire to use my blog as a place to share my thoughts about life, as it appears through my eyes, my personal testimonies and the testimonies of those around me. I write about life situations, marriage, motherhood, unity, relationships and more. You know the human side of life! As I encourage others, I continue to encourage myself to fight on! And to maintain internal happiness, joy and peace! Posted on October 13, 2014 by Diatta. This entry was posted in Interviews and tagged blogger, blogger interviews, how to blog. Bookmark the permalink. What a great feature…..glad to have found Yulunda and her blog! Thank you Diatta for promoting and encouraging me always and I look forward to check out Jen’s blog! I’m SO proud of the growth of this blog and to be able to say I was there from the beginning. I’ve personally seen the time, energy and dedication that goes into each post. Yulunda rocks! Loved the interview; keep up the good work. Thank you butterfly and I appreciate the support! I’m truly blessed to have the pleasure of this Beautiful Soul being my partner in life. Yes, I am her biggest fans. Throughout the years we have supported each other in whatever endeavors we set out to do. You see in our household we have a “can do spirit”, so “try storming” is common with us. Although she has tried numerous opportunities in life, I truly believe she has found her niche by the Grace of God. This is your season honey, walk in it. You have encouraged and inspired me for years, it’s time to share your gifts with the WORLD!! ROCK ON my Love, ROCK ON! Ahh, Thanks Partner in Crime! You’ve always backed me and supported me in all my dreams! Yes, I shall Rock On! What a wonderful idea to feature a blogger each week! Couldn’t agree more that people assume bloggers are not professional and simply blog for as a hobby. Keep proving to them that they’re wrong! Yes, Diatta has a great vision and I am so happy she decided to work with me. I shall keep proving people wrong as blogging and bloggers are Everything! 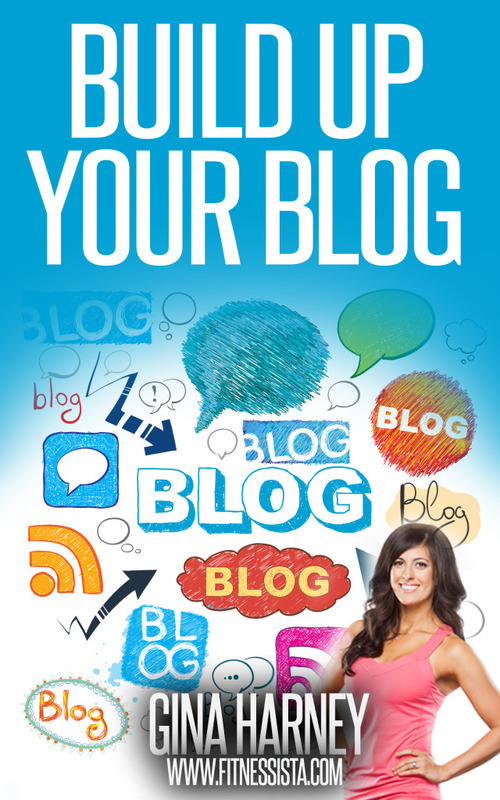 Great feature, it’s a nice way to meet other bloggers. I will be sure to check her out. Nappy Bella recently posted…10 things I’ve learnt about Motherhood! Thank you for the support and for stopping by Lovely! I too shall check you out! GREAT SPOTLIGHT! So many wonderful nuggets of wisdom! I’m glad that you’ve started this series! Thanks Danielle for stopping by.